I'm back. Our team of 31 spent ten days (Dec 27 - Jan 5) in Central America, beginning in Costa Rica and ending in Panama. Our primary purpose was to support the work God is doing through our missionary partners, Marvin and Vielka Cabrera. It was an extremely fruitful trip, and I was highly encouraged by our church's important partnership with the Cabreras. You can read more about the background in my pre-trip updates, found here. The team did well overall - we had some illness, one hospital visit for a broken arm and some sore bodies from all the hard work, but the team was flexible and grew in maturity and grace together. As I return, I have a few reflections and updates to share. I write these reflections for a few purposes. One, to share them with you, because many of you have prayed for our team, supported our work financially or are simply interested in what went on in Costa Rica and Panama. Second, writing my reflections is helpful for me to process my experiences. I write for me as much as I do for you. Third, I hope you and I can learn something together. Whether it is an immediate application or possibly a lesson that comes in reading this a year or more in the future, the documentation of my reflections may serve a purpose entirely unknown to me at this time. So, here are six updates and reflections on my missions trip to Costa Rica and Panama. Prior to this trip, I only had a few brief interactions with Marvin and Vielka, but after spending a week with them, I am even more grateful for our partnership with them. They are hospitable, hard-working, patient, kind and joyful people who love Jesus and want to help others know and love Jesus as well. They are highly committed to their work, and it is a privilege for our church to partner with them. Short-term missions is done best when it occurs in partnership with local, long-term missionaries. I would go so far as to say that unless this is the case, it probably should not be done at all. Over the past three years, we have sent teams of 26, 27 and 31 on three different trips to support God's work in partnership with the Cabreras. That requires a significant amount of resources - time, people, energy, finances, etc. People might question whether this is a good use of those resources. A valid question, which requires an honest answer. I feel confident in saying yes - it is absolutely worth our resources. If it were not for our partnership with the Cabreras and the work God is doing through them, I would be far less sure. In partnering with the Cabreras, we are working with high-quality people, who remain on the field, and are engaged in work that aligns with our own mission and vision. I am grateful for them and excited for the future. The Ngäbe (Guaymi) are considered a "reached" people group, in the sense that there is an established and indigenously led church that exists among the Ngäbe. There are still needs and we are excited to partner with Marvin to help meet those needs. While there is an established church, there are still many who do not know Jesus as savior, and we are excited about seeing more and more hear the gospel message and respond in worship. Marvin helps to mentor six different pastors who are leading Ngäbe churches, many of which have no place to meet. Homes are too small to host gatherings, so they often meet outside wherever they can find some shelter under trees. One way we can help is to assist in funding and building structures that can be used as a gathering place for local churches. In conversation with Marvin and other missionaries working with the Ngäbe, there is also a need for ongoing discipleship, Biblical literacy and leadership development. In George Patterson's article, The Spontaneous Multiplication of Churches, he lists four simple things anyone can do to promote the multiplication and growth of disciples and local churches. This is a great summary of what is needed. An increasing understanding of the Bible and obedience to its commands, while reproducing loving and intentional disciples who can help to reproduce loving and intentional churches. In many ways, the needs of the Ngäbe (Guaymi) church are simple, and quite similar to what is needed among our churches in the United States as well. Without question, the most challenging aspect of the trip for me was being away from my family. Leaving Megan home for ten days with three children four and under is not something I want to do lightly. I do not regret going on the the trip, and I am grateful for Megan's sacrifice to help make it happen, but it was hard - for them and for me. I love my family dearly, and have long been committed to being a present and intentional husband and father. I have seen or heard about too many pastors who sacrifice their family on the altar of ministry, and wind up with wives and children who grow to resent the local church. Megan and I spoke with the kids often about the importance of daddy's trip. We told them that I was not "leaving them," they were "sending me." We prayed together with the kids on the last night I was home, helping them to see the importance of the work. The communication was difficult, because the wifi was very poor at the location our team was lodging. Megan and I did our best to communicate, but it was hard to be away and have little opportunity to communicate. As I return, I am thankful for God's goodness toward my family while I was away. Overall, things went well at home. I am also thankful for our community - there were many family and friends who helped make things a little easier on Megan. I loved the many conversations I had with team members throughout the trip. Whether over a meal, on the trail hauling blocks, sipping a ginger ale at the end of the night or playing a card game, it was invaluable to connect with other team members. As a pastor, I struggle with the challenge it is to not know everyone in our congregation in a deep way. I recognize it is not possible to know everyone well, and it is not the job to which I am called. I am called to equip the body, so we can all know and care for one another, because it isn't possible for any single person to know and care for everyone well. But it doesn't change my desire to know our congregation better. This trip was a great chance to deepen those relationships. As a small bonus, we also had two young men from Cities Church join us. Our church is in conversations and prayer about the possibility of two churches becoming one. As we look at the possibility of "marriage" with Cities Church, it was great to spend extra time with two of their young leaders. Shared experience, especially when it is in service to God's mission, plays an extremely important role in deepening relationships. I was able to do that with all sorts of different team members. As I reflect on my trip, this is one of the many great aspects I had the joy of experiencing. My daily work is not physical. Whether I am reading, writing, meeting with someone, doing administrative work or planning for future ministry opportunities, I spend most of that time sitting. It felt amazing to use my body to do hard physical work. I grew up doing physical labor, and our bodies were made to be used, so I was grateful for the chance to get sore for the glory of God. Don't get me wrong - it was exhausting. Hauling cinder blocks 1/4 of a mile through mountainous hiking trails was not easy. It took a toll on my body. I was blistered, tired, scraped, bruised and sore from the work. Each day, our team would end our work and be exhausted. It was not easy, but it felt so good! I left Panama excited for the future of our partnership with Marvin and Vielka. There is so much opportunity to continue serving God's mission together with the Cabreras. There many possibilities, but I wanted to mention a few specific ways I am excited to continue partnering. First, there are multiple locations that still need a building for their church to meet. We are not at a loss for work projects that would be meaningful and help support the churches Marvin is mentoring. There is opportunity near where Marvin lives in Paso Canoas, Costa Rica. There is also opportunity near the area we spent time working in Panama. Prayer and discernment is needed for our church's leadership as we continue to plan intentional short-term trips to partner with God's work in Costa Rica and Panama. Second, Marvin and Vielka are great to partner with. I am excited about the future, because I am excited about continuing to work with the Cabreras. Who knows what God might be kind enough to do through this partnership. I pray He continues to exceed our expecations with what He can do. Maybe this short update peaked your interest? If so, send me an email and I would love to talk with you more - whether it be over coffee, email, lunch, phone, or whatever we can figure out. We are inclined to complicate that which needs no complicating. Toward the end of Paul's letter to the Romans, he offers a brief encouragement to his readers, commending them in three different ways. He writes that he is satisfied with them, and then tells them why. We would do well to note the three reasons he is pleased with his audience. In them, we see three marks of a mature community of faith. Hardly an exhaustive list, but it is an instructive one. I say we are inclined to complicate matters because we can turn ourselves in circles asking what our church community "should" look like. We develop extensive plans and programs, creating rules and regulations. All the while, we have a nice simple list at the end of Romans. Again, not an exhaustive list, but if these three qualities are true of our church, then we can be confident we are in a good place. As you read these three marks of a mature faith community, ask yourself if they are true of your church. A mature church treats one another with kindness, goodness and respect. Being full of goodness (agathosyne) is a fruit of God's Spirit (Gal 5:22) working in a person's heart. As we become more like Christ, we grow in goodness. What does this look like in a congregation? A church that is full of goodness is a church that seeks reconciliation over quarreling. It is a church that serves one another sacrificially. A church that cares for one another. A church that is marked by kindness and grace. Unity. Love. Patience. These are the virtues that inhabit a mature community of faith. How can you be an agent of goodness in your church? Do not allow dissension, discord, backbiting and gossip to gain a foothold in your church. Do not contribute to it, and as you are able, put a stop to it in others. Fight for goodness by pursuing kindness toward others, patience in disagreement and forgiveness when wronged. Pick someone up who needs a ride to church, provide a meal for someone who just had a baby, check-in on those who have lost a loved one to death - in short, be good to others. A mature church is filled with all knowledge (gnosis). Much is wrapped up in this little phrase, but very simply, it means that the church has a clear understanding of the Christian faith, which means they have a clear understanding of God's Word. This requires godly leaders who are qualified to teach, and faithful members who are attentive to learn and grow. In the words of the psalmist, "I will meditate on your precepts and fix my eyes on your ways. I will delight in your statutes; I will not forget your word. (Psalm 119:15-16 ESV)." In them, we find knowledge. Is your church community filled with all knowledge? Do you have a good understanding of God's Word? I don't just mean a good understanding of some theological concepts and church traditions - I mean the very Scriptures themselves. Does someone get up on Sunday and teach from God's Word? Are people bringing their Bibles and testing that teaching like the Bereans (Acts 17:10-11)? A church that is not anchored to God's Word is liable to drift unaware from the true faith. Culture and context will gain more and more influence, and the church will be tossed by every wind or wave that exerts its influence. A mature faith community is filled with all knowledge, which means they are rooted and anchored on God's Word. The third mark of a mature faith community, the ability to instruct (noutheteo) one another, is a natural result of the first two. Not only does it flow from the prior two, but it requires the initial marks in order to be done well. The word for instruct here is not simply to teach, but has a sense of exhortation, admonishment or warning. This is instruction with a mind toward growth and correction. The soil of goodness is necessary for the seed of instruction to take root. The nourishment of knowledge waters that seed and helps it grow. This sort of instruction is done from the pulpit on Sundays and also in homes throughout the week. Exhortation comes from our elders at times and from fellow congregates at others. No matter the source, a mature faith community is able and willing to instruct one another out of its goodness and knowledge. As mentioned earlier, this list is not exhaustive - but it is informative. There are other essential elements to a healthy church body, but these three marks give us a good sense of a mature community of faith. Use this litmus test to examine your church and ask yourself whether you are contributing to the goodness, knowledge and instruction in your own congregation. What is Missing in Most of our Discipleship? We cannot disciple people en mass. It simply doesn't work. It might appear to work, but it doesn't consistently produce the maturity and multiplication necessary for sustainable Kingdom impact. We cannot get an auditorium full of people to experience ongoing transformation without intentional relationships as well. You cannot disciple people without knowing them. Jesus often drew a crowd and the masses were enthralled with him, but he chose only twelve to be his closest companions. He preached to the masses and fed the multitudes, but he chose only twelve to be his apostles. Jesus healed the sick and loved the unlovable, but he entrusted the stewardship of his message to only twelve. Jesus' example shows us that even if we can draw a crowd, we cannot ignore the necessity of intentionally investing in a few strategic relationships. Mass discipleship is appealing. It feels like a quicker pathway and in the short-term, it probably is. If we can fine tune our systems and environment on Sunday mornings, we can draw a crowd. And that isn't such a bad thing, but it becomes a problem if we pursue it at the expense of the discipleship that happens through intentional relationships. As we saw with Jesus, there are many in the crowds who loved to simply be part of the crowd. But when the pressure of life came, they happily deserted the celebrity they followed to join the new trend. We like to drift toward isolation rather than relationship. Our preference is to remain hidden, not needing to reveal the deepest parts of us, because it is scary to be vulnerable. Exposing our fears, sins and struggles with requires intentionality with others, because it is more natural to stay hidden than it is to step into the light. It can be easy to hide in the crowd - often it's the easiest place to hide. We all need to take on the responsibility of investing in our relationships with others. Don't wait for someone else to invite you out to lunch or ask you if you need prayer. Don't wait for someone else to suggest going to a baseball game or meeting to study the Bible. Feel the weight of that responsibility and find ways to initiate and invest in disciple-making relationships. No matter your stage of life or maturity as a Christian, this is for you. Whether you are discipling others in the role of a mentor, or you initiate a relationship of mutual discipleship with a peer, or whether you seek out an older and more mature believer to invest in you and your growth, discipleship requires relational investment. And no matter where you are in your own life, you can initiate this sort of relationship. Church leaders must also consider this dynamic as we create systems and structures in our congregations. Have we given enough thought to how our models and programs are helping our people to invest in relationships? It can be easy to develop strategies and systems to reach the masses, with the hope that it will accelerate growth. But there is no shortcut to developing mature Christians, and it will always require life-on-life, getting into the weeds, laughing, crying, transparent and sacrificial relationships. Are your church structures helping to facilitate this sort of relational investment in your people? Jesus was not necessarily concerned with the crowds of his day, but he did have a disciple-making movement in mind. He was most particularly concerned with his closest twelve, because he knew they would multiply into a massive movement of people. What started as twelve is now a worldwide movement of billions. The vision is that our relationships would lead to the multiplication of many more disciples. This strategy won't fill stadiums, and it won't lead to your own celebrity status, but it will have an immeasurable impact on the Kingdom. There are men who have invested in me over the years, who were once upon a time invested in by others. Their work has lead toward my own growth and re-investment into other men, who are now scattered around the world. The men whom I have invested in are now doing the same for others. It truly is immeasurable, because it would be impossible to know the full impact of those relational networks. Whether you are an individual and you are thinking about your own life, or whether you are a church leader and you are thinking about your congregation's systems and structures, it is never too late to start. You may feel like the 35-year old who has saved no money, and you have lost out on many years of the powerful effect of compound interest. It is never too late to start. Better to begin now than at age 55. Like a 401k, discipleship through relational investment, leading to multiplication, also takes advantage of the powerful principle of compound interest. It isn't about your ability to fill pews on the following Sunday, but about the ongoing discipleship possibilities in the decades to come. You may have missed out on some of your past opportunities to invest in discipleship like this, but it is not too late to start. Better now than never. Churches go through seasons when they need intentional corporate prayer. It can be prompted by a variety of circumstances, some which grieve the hearts of the congregation and others which enliven the vision of its members. I have observed churches go through a season of prayer when they are in the midst of senior pastor transitions. Following the significant moral failure of a pastor, churches may initiate a season of prayer for healing and direction, or when a church senses God leading them to a new vision and are ready to see God begin a movement among them, they may go through a season of intentional corporate prayer. At First Baptist Church, we are entering a season of intentional corporate prayer over the summer. Over the past couple years, we have sensed God leading us to be more purposeful in the way we love, care and reach our downtown neighbors. There are over 20,000 people that live within a half-mile of our building, most of whom do not know the life saving message of Jesus Christ. The majority of people that live near our building are young urban professionals, but many others are at or below the poverty line and need to receive love, care and a message of hope. Collectively, the members of our congregation have thousands of neighbors, co-workers, family, friends and other relationships in our spheres of influence that we desperately desire to know and follow Jesus. Not to mention that we all, the people of our church, need the continual revival of God's Spirit within our own hearts. As we continue to pursue a vision for God to move in our own hearts, among our downtown neighbors and among the many people whom we come into contact with on a daily basis - people whom we love and care for deeply - we have recognized our need to enter a season of intentional corporate prayer this summer. A primary avenue for this is to meet in five prayer meetings throughout the week, and pray through the book of Acts. As we hear from God through His Word, and as we speak back to Him in our prayers, we are asking that God would do something remarkable in our church family and in the lives of our neighbors. As you read this, whether you are part of the church family at First Baptist or part of another congregation, here are three reasons why churches need seasons of intentional corporate prayer. Prayer can be a bit of a mystery. We have a God who is fully and entirely sovereign. A God who has complete foreknowledge and has chosen us in Christ before the foundations of the world (Ephesians 1:4). But yet, a God who invites His people to pray. In the Scriptures, we see God respond to the prayers of His people, specifically when they pray in ways that are consistent with His will and desires. For example, in Exodus 32, after the Israelites had acted with great dishonor toward God in making the golden calf, God tells Moses that He is going to consume them, and begin afresh with Moses (v. 10). In response Moses petitions God to relent from his wrath, and argues back to God in prayer, using God's words and desires as a buttress for his prayer. It says that God "relented from the disaster that he had spoken of bringing on his people (v. 14)." Space does not allow for a full exploration of the relationship between our prayers and God's sovereignty and foreknowledge. But from a human perspective, God responds as Moses petitions Him on behalf of the Israelites. Moses prays in a way that is consistent with God's will and desire, and God responds. God loves when his people pray, and He responds to our prayers. When we want to see God do something in our congregation, something we believe is consistent with His will and desires as revealed in the Scriptures, then we ought to pray and ask God. Like a father who delights in the opportunity to provide good gifts to his children (Mt. 7:9-11), God loves when His people pray and ask. Humble yourselves, therefore, under the mighty hand of God so that at the proper time he may exalt you,  casting all your anxieties on him, because he cares for you. Be sober-minded; be watchful. Your adversary the devil prowls around like a roaring lion, seeking someone to devour. Resist him, firm in your faith, knowing that the same kinds of suffering are being experienced by your brotherhood throughout the world. And after you have suffered a little while, the God of all grace, who has called you to his eternal glory in Christ, will himself restore, confirm, strengthen, and establish you. To him be the dominion forever and ever. Amen (1 Peter 5:6-11)." Prayer is an act of humility before God. When we pray, we intentionally position ourselves under his authority, and cast our anxieties upon Him. God restores, not us. When broken relationships need restoration and healing, we cannot do that on our own, but God can. God strengthens. Youths grow tired, and young man stumble, but "those who wait for the LORD shall renew their strength (Isaiah 40:31)." When we get tired, and fear we do not have the energy for the task, God gives the strength. God is the one who heals broken hearts and gives strength. But most of all, God is the one who draws people to Himself and saves forevermore those who were once perishing. God gives new life to those who once walked in darkness. We cannot bring that sort of life transformation, but God can. Prayer is an acknowledgment that we cannot, but God can. [12b] “Men of Israel, why do you wonder at this, or why do you stare at us, as though by our own power or piety we have made him walk? The God of Abraham, the God of Isaac, and the God of Jacob, the God of our fathers, glorified his servant Jesus, whom you delivered over and denied in the presence of Pilate, when he had decided to release him. But you denied the Holy and Righteous One, and asked for a murderer to be granted to you,  and you killed the Author of life, whom God raised from the dead. To this we are witnesses. And his name—by faith in his name—has made this man strong whom you see and know, and the faith that is through Jesus has given the man this perfect health in the presence of you all (Acts 3:12b-16)." I love their answer. And it is so helpful for me to hear. It was not by their power or piety that this man was able to walk again. Peter is quick to point out to those listening that it was the power of Jesus that made this man strong. When we go through seasons of prayer, it can help us to remember to give God the glory for the work He does. To say with confidence that Jesus is the one who did the miraculous. God is not limited by our lack of prayer and He can do something extraordinary among us whenever he chooses, but when we go through a season of intentional corporate prayer, it helps us give God the glory when he does chose to act on our behalf. There is a contemporary discussion happening between missional vs. attractional churches. I believe it is a false dichotomy to pit them against one another, because it is not necessary to chose between them. That being said, I see more danger in the longterm impact for the church when we drift heavily toward the attractional models to the neglect of the missional ones. Today, I am going to argue for a practice that is motivated by both attractional and missional mindedness. And it has to do with welcoming our guests well on Sundays. When someone, especially someone who is unchurched or dechurched, crosses the many barriers there are between them and a local church gathering, we should honor that step and do our best to help them feel welcomed and loved in our community. If someone is a guest on a Sunday, it means they have come to you (attractional), but you taking the initiative to welcome them and get to know them requires you to take a step toward them (missional). And it is a much easier step for you than befriending someone new outside the doors of your church. Welcoming guests on Sundays is critical. What is one way you can do that better? You can institute the 3-minute rule. What is the 3-minute Rule? The 3-minute rule is really quite simple and it is based on the idea that within the first three minutes after the Sunday morning service ends, nearly all your guests have either been engaged in conversation or have left the building. They won't hang around, sitting alone, with no one to talk with them. Sadly, most church goers first action after the service ends is to find their best friends and catch up with them. When churches practice the 3-minute rule, they intentionally find the people they don't know first and engage them in conversation. Your friends will probably still be there when you finish meeting someone new, so meet the guests first and then catch up with your friends. The easiest thing you can do is just get to know them. Ask them questions about themselves. Who are they? Are they married? Kids? Jobs? School? Small talk does not come easily to everyone, so I will not assume that everyone is inherently good at this, but do your best to just keep asking questions and genuinely listen to their answers. Whenever I encourage people to meet someone new after the service, I often hear that they are afraid they will introduce themselves to someone who isn't new. First of all, that isn't a problem. If you are part of the church, and they are part of the church, then it is not a problem for you to meet one another. Just don't ask the awkward question, "are you new?" After you have introduced yourself, then simply ask, "How long have you been coming here?" This is more open-ended and allows for people to say they are new, or that they have been there for months or even years. What is your background with faith and church? Depending on how well the conversation is going, you may feel comfortable to feel out where they are at in their own faith journey. Instead of asking, "Are you a Christian?" You could simply ask them to share what their background is with faith and/or church. Another question you could ask is, "What made you decide to check out our church today?" Allow them to answer your question, listen to their answer, and ask follow up questions that are applicable. Get to know your church's plan for following up with new guests. Every church should have one. Just ask a pastor or staff member what yours is, and if there isn't one, then your question might prompt an important discussion. 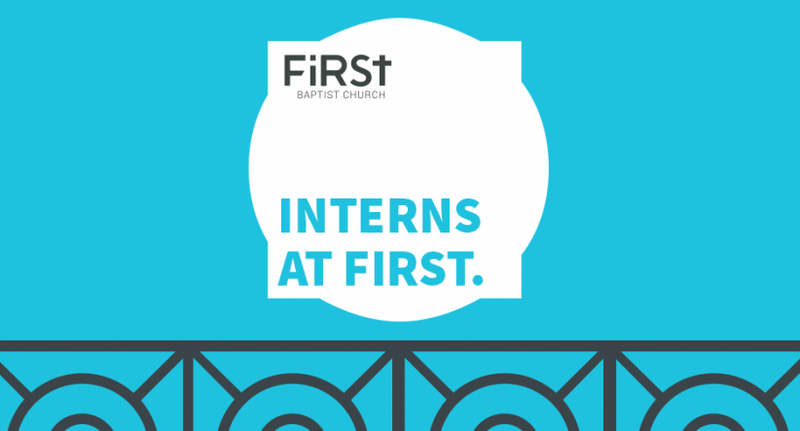 At First Baptist Church, we want people to fill out a Communication Card, get a free gift from our Welcome Center and then attend our next Guest Lunch and/or Starting Point class. Those are baseline next steps. Each of them allows us to continue following up with them, helping them to eventually engage with our Community Groups and Serve Teams, so they can grow into a mature disciple of Jesus as part of our community. Once you have met them on a Sunday, remember their name and look for them the next week. Studies have shown that if someone does not form a genuine relationship with someone at the church (that isn't a pastor or staff) within the first six months, they will probably look for a new church. SO, look for them the next week and try to say hello. You just might the genuine relationship they form at your church. This is not something that can be planned. It cannot be done through a program or forced onto people. It needs to become part of the culture, the ethos, of your church. And it begins with you! The tipping point to change the culture of a community or organization is not that high. If you can get 10-20% of your people committed to intentionally welcoming guests, the culture will change rapidly. Be one of the people who helps to enact that change and engage someone you don't know in conversation this coming Sunday. Your Turn: If you take the initiative to meet someone new next Sunday, stop back and let us know how it went. What does the church do when it gathers? Does the Bible give us any direction to help answer this question? It is clear that some form of regular gathering is an important element of the Biblical vision for the church. The early church gathered (Acts 2:42-27), there was an exhortation for meeting together regularly (Hebrews 10:25) and instruction about maintaining some form of order in worship (1 Corinthians 14:26-40). But what are the important priorities for the church when it is gathered? The impact of the missional movement has made me wonder how I would answer this question. I recently wrote a post on how to think differently about what it means to "be the church." I argued that we need to reorient our ideas of what it looks like to be the church and what it looks like to do the work of the church. As we push the boundaries of what it means for us to be the church in our city, it is also important to ask ourselves what the Bible tells us to do when we gather. In an effort to answer that question, I examined three different passages: Acts 2:42-47, Colossians 3:1-17 and Ephesians 5:1-21. I came up with 15 different practices in which the church is called to engage. A note about what it means to "gather"
When the church gathers, it may look different for each of us. There are a variety of settings in which the church may gather together. This includes the Sunday morning gathering that is common among churches in America. For the overwhelming majority of churches in America, the Sunday morning gathering is a focal point of the weekly rhythm for the local church community. A second context for gathering is through the small group ministry of your church. Whether you call them Community Groups, Missional Communities, LifeGroups or Sunday School, these are an important place for our members to gather and engage together. These groups will have varying importance within each local church, but they are very necessary for the life of most churches. There is also a growing House Church movement in America, which is more common in other parts of the world. I am not going to argue the merits of any particular model of gathering, but want to acknowledge that different local church bodies will gather in different ways. Regardless of the model you use for your church to meet together, the Biblical practices will remain consistent. The 15 practices I found are listed in no particular order and they are not grouped in any fashion. If a person wanted to reduce these, they might be able to collapse them into fewer and broader categories. I chose to leave them separated into more and specific practices. Each of them has the corresponding verse listed as well. In Christ, we are all one. There is no discrimination of who can join us based on race, class, gender, age, income, etc. Whether implicitly or explicitly, we must resist the temptation to reject people who are different from us. Everyone is welcome. There is a strong appeal to the way we treat one another. Paul tells us to have compassionate hearts, kindness, humility, meekness, patience, bearing with one another and forgiving one another. Consistent with that disposition is an appeal to submit to one another out of reverence for Christ. We are called to treat one another well. Specifically, we are called to love one another. Love for one another is a foundational way of viewing each other. It binds all these other ways of treating one another together in perfect harmony. Paul grounds our love and forgiveness for each other in the love and forgiveness of Jesus. We are compelled to treat one another the way that Christ has treated us. Thankfulness is an important attitude. The Bible often connects peace in Christ and thankfulness (Phil 4:6-7). When we consider the many things we have to be thankful for, most important among them is the new life we have in Jesus, we are also filled with His peace. Peace and thankfulness should be marks of how we engage with one another. When we gather, it is important that we take time to study God's Word. The "word of Christ" and "the apostles' teaching" are phrases that when applied to our current context translate to the Bible. The Scriptures hold the word of Christ and the apostles' teaching. It is important that we read it, study it, teach it and help one another grow in wisdom. Another practice we are called to engage in is singing. I love to sing. I am not that great at it, but it is nourishing to my soul. A good song that is filled with the truths of God can raise my affections for Jesus in a unique way. When we gather, it isn't about us. It is about Jesus. It isn't about the preacher, no matter how good or famous. It isn't about the musicians, no matter how well they can rock a melody. It is about Jesus. Do everything in the name of Jesus, giving thanks to God. We often neglect the Holy Spirit in our lives, but He plays an essential role in what it means for us to follow Jesus. When we gather, we should consider whether we have been living by the power of God's Spirit. If not, then we should repent and be filled with the Spirit anew. The phrase "breaking the bread" likely has connotations here of both the Lord's Supper and also a shared meal. When we gather, we should celebrate the Lord's Supper together, remembering what Christ has done. We should also find ways to share in meals together as a community. Prayer is essential to our life and it is also important for the church gathered. There are many ways to engage in prayer together. Through prayer requests, being led in prayer by a single person, taking time to pray in silence, pairing up and praying with someone next to you, and many other ways. When we gather, we should pray together. In the book of Acts, it says that "many signs and wonders were being done through the apostles." There is no reason that God's power through miraculous events cannot be seen when the church is gathered. Pray that you would see God move in mighty ways through your church when it is gathered. The church is called to care for one another's needs in real and tangible ways. We should find avenues to serve one another, "as any has need." Again, this will look different in each local church context, but we are called to meet the needs of our fellow church members. As we receive from one another, we should have glad and generous hearts. We should have hearts of gladness toward one another as we receive from one another in the church. When the church gathers in this way, God will add to our number those who are being saved. God wants people to be part of a community that will love and care for one another well. God wants people to be part of a community that will teach His word and sing songs of worship. Pray for God to add to your number those who are being saved, and be ready to help them grow. The practices listed above have both attitudes and actions associated with them. When the church gathers we are called to have both an attitude of meekness and also the action of singing worship together. We are called to have both the attitude of love and also the action of caring for one another. We are called to have an attitude of openness to all and also the action of inviting people to follow Jesus. We are called to certain attitudes and actions. As you finish this article, pray about which one practice listed above you want to be more intentional about when your own church community gathers. We are called to all of them, but just pray about one of them that you will be intentional to do the next time you gather. Pick one, and then ask God to help you follow through. Then, tell us about it. In the comments below, let us know which one you have chosen and tell us about your experience the next time you gather. If you have enjoyed this post, sign up for email updates and never mist another post again. 4 ways to think differently about what it means to "be the church"
Do you ever wonder if you "fit" in church? I recently read an article about a young man who faithfully served his church for many years but eventually got burnt out and disillusioned. He wondered if the corporate church was the right place for him. And he is not alone in that sentiment. As a result, there are many people who are disengaged from their local church, others who jump from church to church hoping to find something different, and still others who leave the church all together. There are many reasons that contribute to people making those choices. It isn't helpful to point the finger and blame any single entity. Individual people sometimes make bad choices because of poor motivations. People can also be disillusioned by a church culture that doesn't always resemble much of the vision God put forward in the Scriptures. I am suggesting that one way we can help people engage in our church communities is to begin to think differently about what it means to "be the church." I think that most Christians get this - at least on an intellectual level. If our most faithful members were pressed to define what "the church" is in Biblical terms, most would give an answer that had something to do with people. But unfortunately that is not how we always function or use language. We often think of church as events or programs. We "go to church" on Sunday mornings. Or we think of it as a building or location. When I am scheduling a mid-week lunch meeting, sometimes people meet me "at church." If we freed our church family to think of themselves primarily as a community of people sent to their city as Jesus' representatives in the world, how would that change what it means to "be the church." As I type this on my patio at home on a Monday afternoon, I am no less a part of my church family than when I was sitting in my office earlier today. When my community group members are in class or at work today, they were just as much a part of our church as when they are sitting in a pew on Sunday morning. And I don't just mean that they are part of the church as one of its identified members. When they are engaging their coworkers, classmates or neighbors, they are actually doing the work of the church as much as they are when they serve as Connections Team members on Sunday morning. The church is people. Not events or buildings. Therefore, the work of the church is being done by those very people each and every day as they engage in their different spheres of influence. It is being done each and every day, not just when they come to participate in a program or event. The local church is the locally gathered "sent ones" of God. We are called to go, not just wait. This means that to "be the church" in our city requires us to function outside the walls or programs of our church. We engage in our neighborhoods and communities in order to build relationships, seek the good of those around us and bring the message of Jesus with us. We do organize events, ministries and programs that are oriented around normal meeting times. These are important for the life of a local church. For example, a Sunday morning gathering is part of the normal rhythm of most churches. It is an important time for the church to gather, study God's word, sing songs of praise and engage with one another. And people who are exploring faith may join us on Sundays to learn more about Jesus. But the mission of the church is not complete just through our gatherings. God has called us to go. That means we go as individuals, families and smaller groups. This cannot be an organized event by church staff or leadership. Each member is empowered to carry the message of Jesus into their own neighborhoods and communities. This means that every member of the church plays a pivotal role in what it means to "be the church." Have we empowered everyone to carry that responsibility? Have we called everyone to the glorious task of going each week to their own spheres as Christ's "sent ones?" I think people would have a greater sense of purpose in their lives if they saw themselves as doing the work of the church in every part of their lives. At First Baptist Church, we have been growing a wonderful and fruitful partnership with a ministry called In Love, Word and Deed (ILWD). I am so grateful to God for the way that we have worked together to serve the homeless of downtown Minneapolis. We regularly invite our church members to participate in this ministry. We also recently organized a number of opportunities for our church to serve together during #FBCServes. While it is important for us to provide opportunities for our church to serve our local neighborhood, and while it is necessary for us to corporately serve our neighborhood as an expression of what it means to follow Jesus, it is not the only way to serve the church. It is necessary for every member to know that their intentional work to love their neighbors is a way that they serve the mission of the church. Our church family serves each time one of our members serves by intentionally loving their own neighbors. Your own church might be organizing opportunities for you to corporately serve together. You should find ways to engage in those opportunities, but you should also know that loving your neighbors well is no less important. Ultimately, it isn't about us. It isn't about any individual person. It isn't about any individual family or group. It isn't about any one single church or association of churches. It is about God. We are seeking to make worshipers of God, so that He might receive all the glory and credit and fame. This is worth all our time and talents. We are not trying to build up any single church or person. We do however want more and more people to enter into a life-saving relationship with Jesus and then live in worship to our great God. Each weekend in America, somewhere between 60 - 120 million people will attend some sort of church gathering. Among those who enter the doors of our church buildings, a small portion of them will be first-time guests. Are you prepared to welcome your guests and help them become engaged members of your church community, so that they will ultimately grow into mature disciples of Jesus? Fewer and fewer Americans have an affinity for faith. The 60 - 120 million who will attend a church gathering make up only about 20-40 % of our entire country's population. The affinity for faith that people have changes as you move from region to region, but overall there are less and less people who will seek out your church on Sunday morning. Therefore, we cannot wait for them to come to us. We need to go to them. Church leaders will need to focus their energy in helping to train and equip their members to see themselves as representatives of Christ in their workplaces, neighborhoods and schools. Even though we need to shift our mentality to think more missionally, that doesn't mean we should give up on our Sunday gatherings as a place where people can come and be reached. Sunday morning is still a time that people recognize as the time when churches gather. If the average American was asked when people attend church, they would likely answer Sunday morning. People who are searching for faith are still inclined to find a church service they might want to attend. My church is located in an area of Minneapolis that has a lower than average connection to faith. Within a half mile of our church building, there are about 21,000 people. The overwhelming majority of whom are young urban professionals. The population block that makes us 70% of our neighbors only makes up about 3% of our country's entire population. Our average neighbor is not looking for a church, and as a result, our church community is considering our current ministry models to ask ourselves how we can be more effective at reaching them. We cannot expect them to come to us. That doesn't change the fact that we still have an average of 3-5 new guests each Sunday, most of whom live within walking distance of our church building. Bottom line, even while the culture shifts around us and affinity for faith decreases, we still have new guests join us nearly every Sunday. Being intentional to welcome those guests and reach them is important. They have already crossed one of the most difficult barriers to engaging in faith. Be ready to welcome them, get them connected with your community and disciple them into maturity as a follower of Jesus. Do you feel responsible to welcome guests on Sundays? You should. There might be a ministry at your church that organizes volunteers to help greet people. It can be easy to assume that those ministry volunteers have got it covered and therefore you shouldn't need to feel responsible. But this could not be further from the truth. Being greeted by someone who is supposed to greet you is not nearly as welcoming as having a friendly conversation with someone who is simply interested in getting to know you. Having volunteers committed to welcoming our guests is important, but it should not be a substitute from having a culture of everyone feeling responsible to welcome our guests. When I was helping to plant a church in Fargo, ND, we intentionally resisted the urge to create a team of volunteers to greet. We did not want to give our current members an excuse to not welcome our guests. Because there was no assigned group to welcome people, everyone in our church felt responsible to be part of welcoming our guests. I don't believe we have met before, how long have you been coming to ________________ Church? From there, you can just get to know them. This is extremely important. Don't just welcome the new people, make a habit of following up again later. I recently read that if someone does not develop a meaningful relationship with someone from the church community (that isn't a pastor) within the first six months, they will probably not stick around. And can we blame them? Having meaningful community is central to what it means to be the church. We talk about community and say that it is a value we have, so if someone cannot develop community with anyone in the first six months, they are probably not coming back. You can do this in a variety of ways. Invite them out to lunch after church with you and some friends. You could also ask for their email address or phone number and then follow-up with them later that week. Or you could just look for them the following week and make it a point to say hello (and remember their name). Be aware of your church's opportunities for new people. At First Baptist Church, we have a gift bag for all of our new guests. If your church has something like that, be aware of it and direct the new people to where they can get their free gift. We also have a guest lunch every 5-6 weeks and a Starting Point class. Beyond that, we have a goal of getting people connected to one of our Community Groups and help them join one of our Serve Teams. Be aware of what opportunities exist in your church and help connect your guests to those opportunities. And maybe you are part of a Community Group yourself. If so, invite them to join yours and help them connect with a small community who are seeking to grow as followers of Jesus. If you really love to greet and welcome people, then consider volunteering to be part of your church's welcome team. Ours is called the Connections Team, and the mission of that team is to help our guests feel welcomed and loved. Find your church's team, and ask how you can help! I intentionally listed this one fourth, because the best way to welcome our guests is to create a culture in which everyone feels responsible to be a welcoming presence. But that doesn't preclude the need for welcome teams, so consider joining the one at your church. 2. Tell us about a time that you felt welcomed when you first visited a new church. Missional vs Attractional - must we choose? I felt called into ministry while sitting in Askanase Auditorium on the campus of North Dakota State University. I was a Sophomore attending my Architecture class when God made it clear that I was not going to be an architect, but rather enter into full-time vocational ministry. I did not know how it would all work, but I knew I felt called. As a result, I have spent a lot of time investing in various expressions of ministry over the past 10-15 years. One question that has been circulating in my mind is how the church relates to those outside of its community. Two common models that have been pitted against one another are the attractional and missional models of ministry. When I think about attractional, I think about big mega-churches like Willow Creek Community Church, North Point Community Church, or Eagle Brook Church. These churches have mastered the ability to create a Sunday morning worship environment which draws people from all around their cities. The missional model emphasizes the need for the people of a local church to carry the message of the gospel into their communities. You might think of one as more of a centripetal (attractional) force and the other as a centrifugal (missional) force. You might think of one as a more attractive force and the other as an expansive force. Must we choose between a missional or attractional model? Can a local church be effective at both? This is a question that has been nagging at me. There are some who would argue that you cannot successfully maintain both models. If we were to survey nearly any church leader about the merits of both attractional and missional models of church, they would likely say they want both to exist in their church community. They may even say they are actively striving for both to coexist in their church community. But some would argue that you cannot actually do it well. My perception is that they would say the attractional model will ultimately win out. Churches will eventually emphasize their programs and events, communicating to their congregation that their primary role is to invite people to church functions. This will undermine the missional spirit, which seeks to remind people that they are the church (not programs, buildings or paid staff) and are therefore called to be the church in their community. Do we see both in the Bible? When I read the Scriptures, I see both attractional and missional elements coexisting. I see them coexist in the nation of Israel, in the life of Jesus and also in the early church. Missional - There are fewer examples of this in the Old Testament, although I think it has less to do with God's desire for Israel to be a centripetal force than it does with Israel's inability to consistently act in accordance with God's desires. God initially tells Abraham that he would be a great nation, and his descendants would be a blessing to all nations (Gen. 12:1-3). God also calls Jonah to go to Nineveh and proclaim repentance (Jonah 1:1-2). Attractional - People came from surrounding nations to seek the wisdom and blessing of God through Israel's leaders and prophets. The Queen of Sheba comes to seek the wisdom of Solomon (1 Kings 10:1-13). Also, Naaman the commander of the army of the king of Syria comes to Israel to find Elisha so that he could be healed from leprosy (2 Kings 5:1-14). Attractional - Jesus was an attractive figure. Crowds followed him wherever he went, and when they did he often taught them and healed them. When Jesus tried to get away with his disciples to rest, he was followed by a great crowd and ended up preaching and teaching and feeding the five thousand (Mk 6:30-44). You can page through the gospels and find numerous occasions in which a crowd has surrounded Jesus. Missional - Paul is a great example of a missional life. He said that he wanted to preach where the gospel had not yet been named (Rm 15:20). He went on many missionary journeys and was always proactive to share the good news of Jesus. As the early church spread, there are multiple examples of the gospel spreading through people carrying the message while going on their way. Attractional - The early church was also extremely attractive. In Acts 2:42-47, the fellowship of believers is described in a way that is compelling. I don't know who wouldn't want to be part of that type of community. And it says that "the Lord added to their number day by day those who were being saved (Acts 2:27)." There was something attractive about the church community, and people wanted to be part of it. So then, is it possible to have both? I am still an advocate for both models to coexist in a local church community. Our communities must be attractive. Frankly, I wouldn't want to be part of a local community that isn't attractive. This does not mean that we need to sell out to the attractional model, or that we should communicate in such a way that programs and events become the pulse of our church community. But our communities should be welcoming and accessible to people. We need to be conscious and aware, so that we can reduce the barriers that exist for those outside of our community to engage with our church. We should have a great team of people who greet our guests on Sundays. We should have small groups that become a point of access for others to engage with our fellowship. We should strive to be a church community that is attractive to others. It cannot end there. Everyone in our church community must start seeing themselves as the church in their community. Our local churches are not buildings or programs or paid staff. Our local churches are the people themselves, who have decided to commit to our church and claim it as their own. We need to train, equip and encourage everyone in our church to carry the message and blessing of the gospel to their own little spheres of influence. Each of our church members gets the privilege of being the church in their workplaces, schools, neighborhoods and anywhere their lives inhabit. This is a message that we need to communicate clearly and consistently. The question still lingers for me though. Can we actually have both? If we pursue both, will we inevitably sell out to the attractional model? In order to be missional, do we need to sell out to that model instead? I am resisting the need to chose. I want to chose both. What do you think? Can we have both? Or do we need to chose? I would love to hear from you in the comments section below. In the wake of the Tsunami that devastated South East Asia around Christmas of 2004, in an effort to help with relief efforts, Cru (formerly Campus Crusade for Christ) decided to send a team of 100 students from across the country to partner with the Thailand Cru ministry. I had the privilege of representing North Dakota State on that team, and it forever changed my life. It was the first time I had ever left the country (other than going to Canada). It was the first time I had been on a plane, other than a flight to Florida at the age of five which I cannot remember. I had to get a passport. I had to get a new suitcase. I had to raise money for travel expenses and to help fund the relief effort. I grew up in a small town in central Minnesota and went to a medium sized university in North Dakota. My general experience had been largely mono-cultural. Through this trip my eyes were opened to the world. I got to experience a new culture. I got to spend time in non-western cities. I got to interact with people who had a completely different worldview and experience than me. It was life changing. Following that trip, I traveled overseas for various types of missions trips multiple times before graduating college (I have been to the capital city of four different countries, but never my own), and spent many years seriously considering and praying about long-term missions. The burden God placed on my heart for the world has not changed, and I think it is important for all Christians to be aware of the state of global missions. Sitting on a bus in Bangkok, a student from Iowa leaned over to me and asked me if I had ever taken the Perspectives on the World Christian Movement course. I had not, and he recommended that I should, so when I got back to the states I emailed the directors of the Cru ministry at NDSU, suggesting that we look into bringing the Perspectives course to Fargo. Incredibly, one of their roommates was actually in the process of helping to plan a new session of the course for the next fall. It was clear to me that God was calling me to take the course, so I did, and I got some of my friends to take it with me. The Perspectives course is a 15-week course, with 15 different instructors and some fantastic reading materials that takes a student through the Biblical, historical, cultural and strategic perspectives on missions. If you have not taken the course, then try to find one in your city. Here is a link. Be careful though, taking this course may change your life. These are just a few of the experiences that have shaped my heart for missions. There are a lot of great resources and opportunities to grow in your own experience and understanding of God's heart for missions. This video helps to describe the task remaining. It is a sobering picture of where most of our resources go with regard to missions. It is worth watching. How does this change the way that you engage with missions? You may hear the term Unreached People Groups thrown around from time to time. This will help give you a better understanding of what people mean when they use that phrase.